Shrimp tempura, avocado, sweet potato. 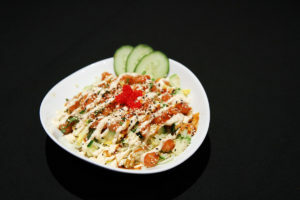 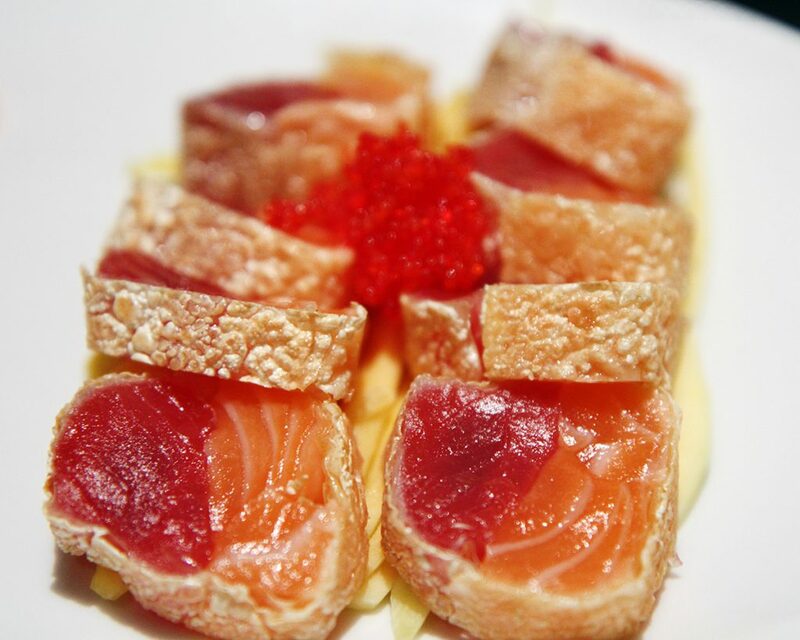 A lightly fried rice cake topped off with spicy mayo, tuna, smoked salmon and tobiko. 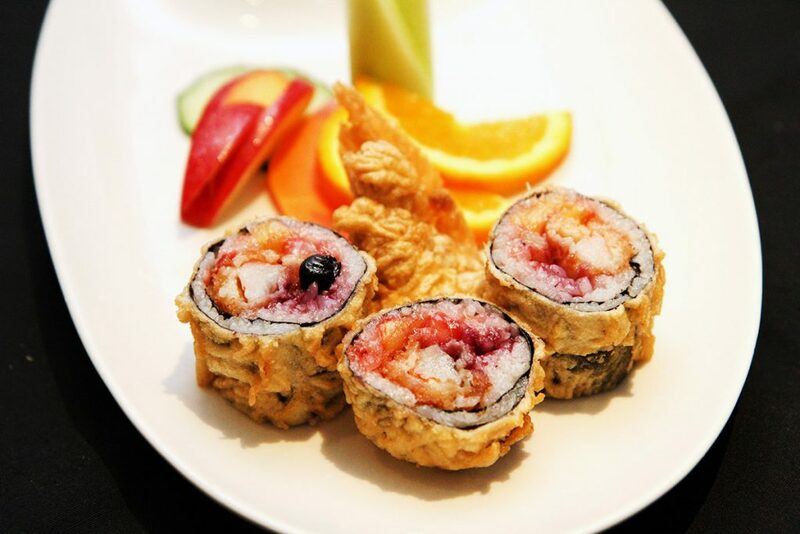 A slightly tempura breaded roll with tempura shrimps, strawberries, pineapple and blueberries. 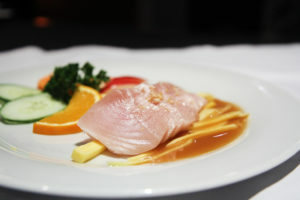 White tuna sashimi garnished with fresh mango and grilled garlic. 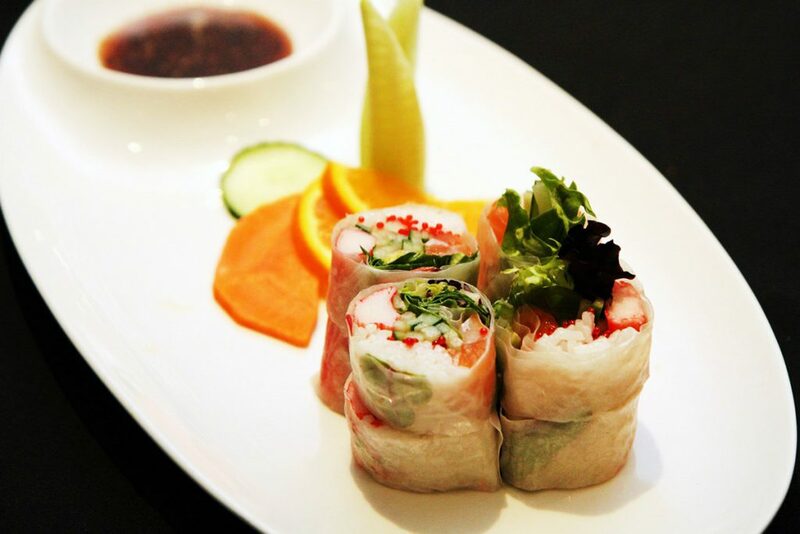 Fresh salmon, lettuce, tobiko, crabstick, cucumber, coriander and rice paper. 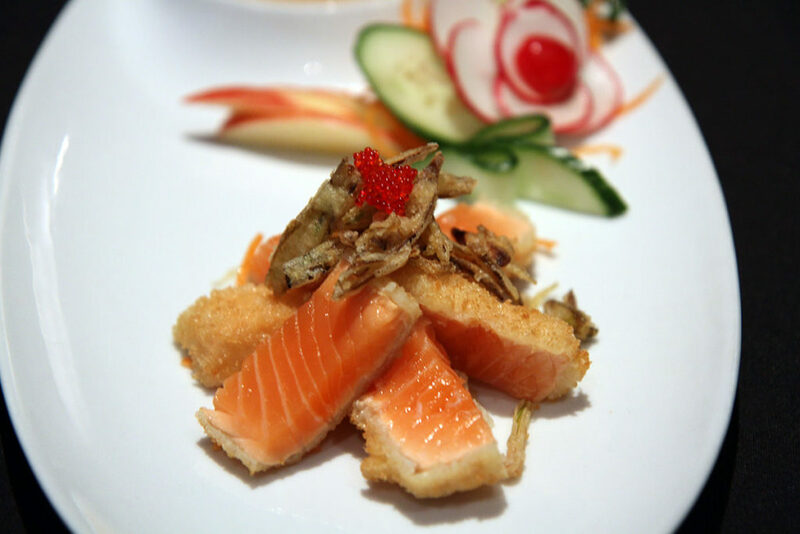 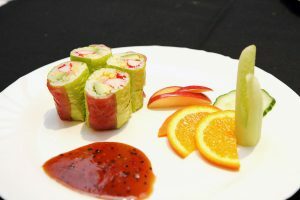 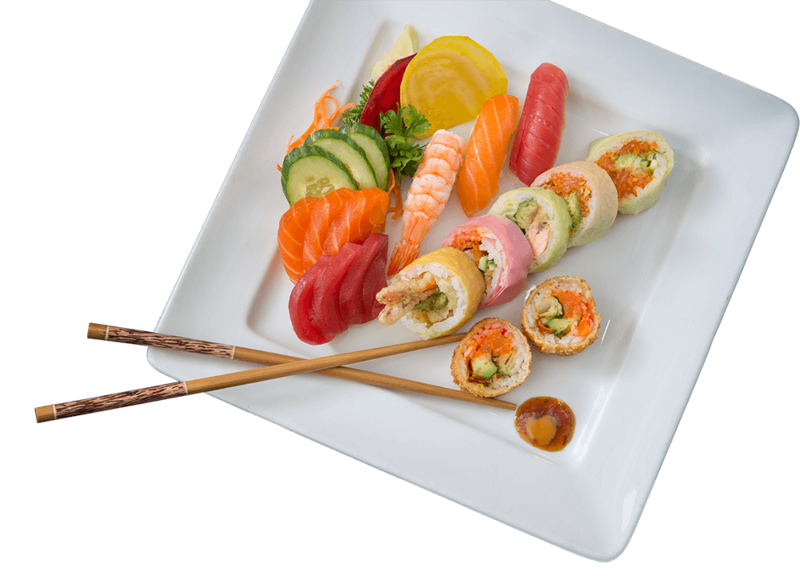 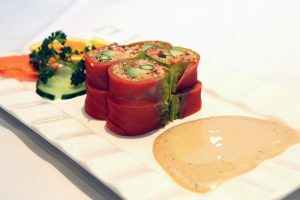 Crabstick, asparagus, fried carrot, tempura, tobiko and avocado rolled in a soya bean leaf, topped with smoked-salmon. 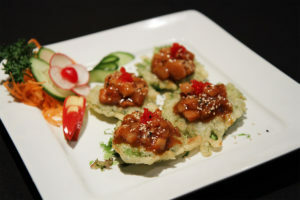 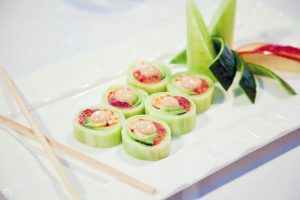 Spicy tuna, crispy tempura, cooked shrimps and avocado rolled in a soya bean leaf. Fresh salmon and tuna sashimi rolled in tofu leaf, topped with tobiko and mango. 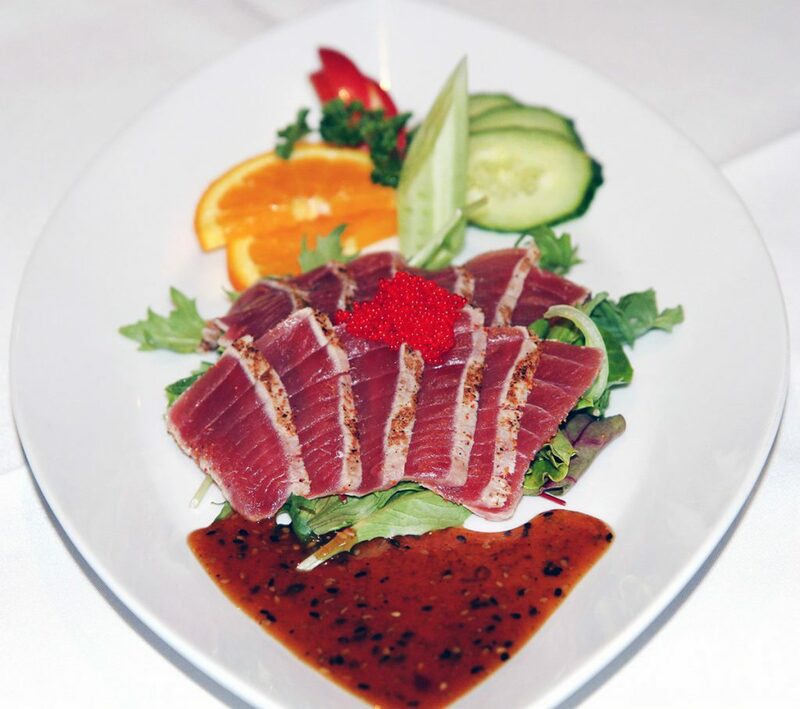 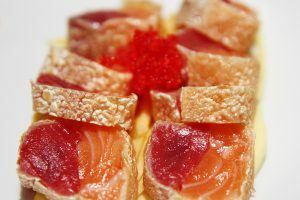 Fine-sliced of slightly flambé tuna, with tobiko. 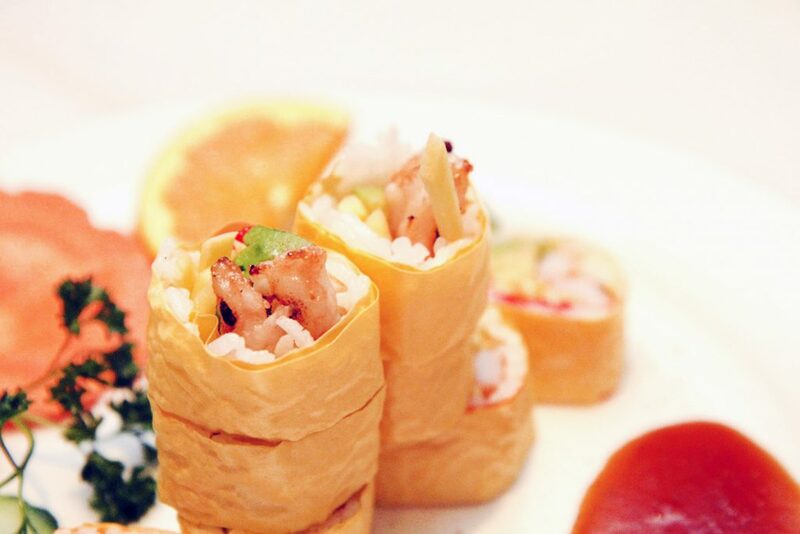 Tempura shrimp, BBQ eel and tobiko rolled in a soya bean leaf and covered with fine-slices of mango. 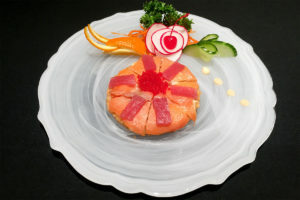 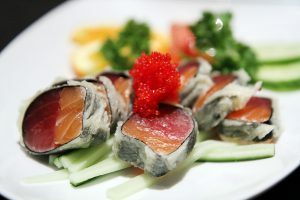 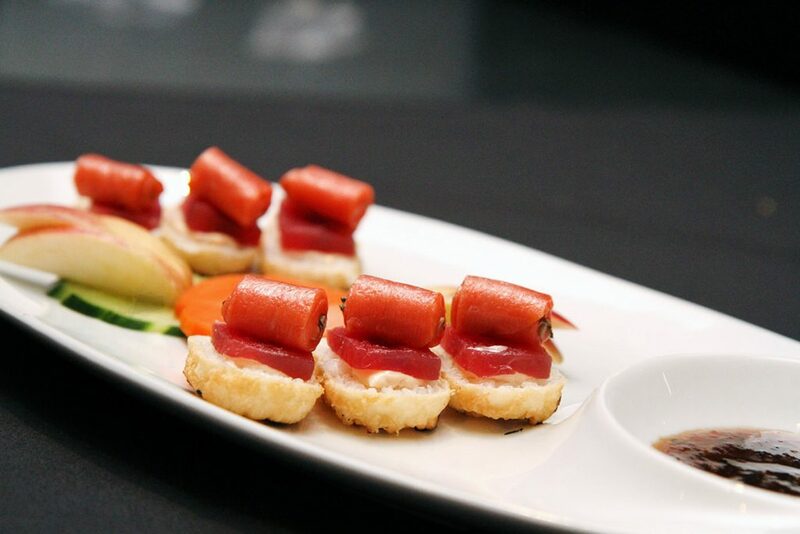 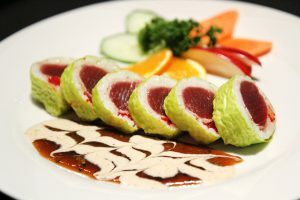 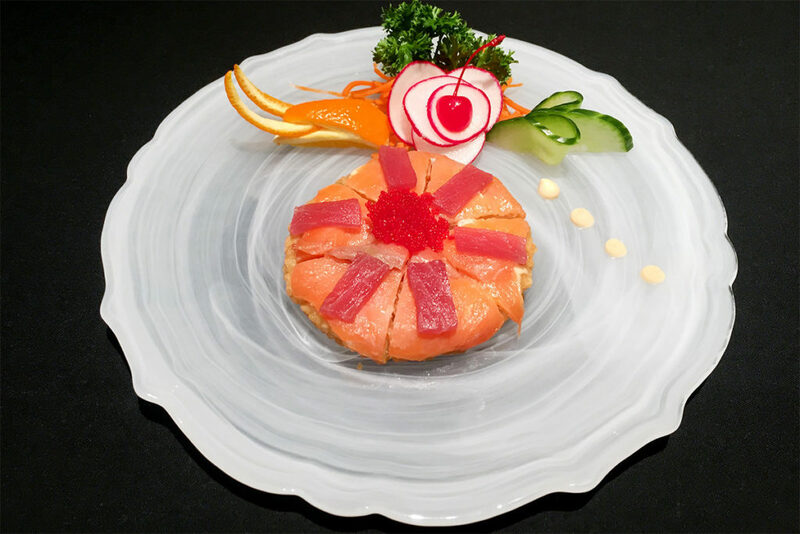 6 Pieces of red tuna sashimi on grilled-rice medallion, topped with shiso leaves rolled with smoked-salmon. 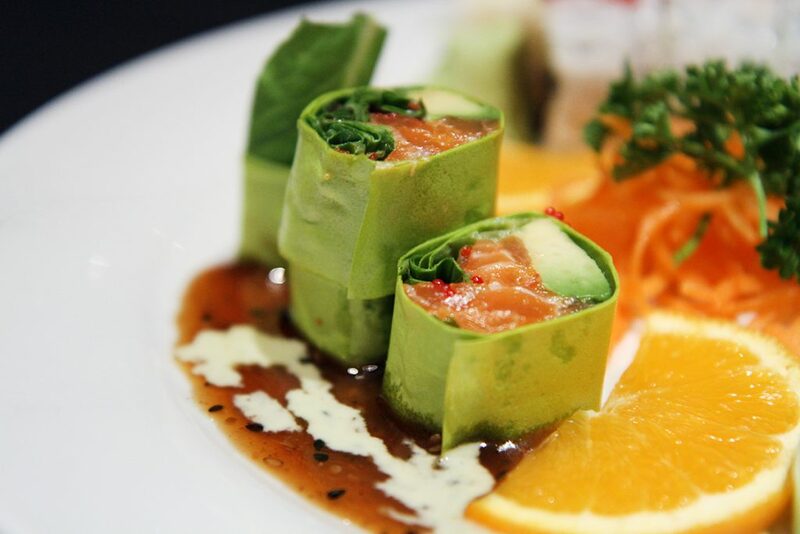 Spicy salmon, avocado, lettuce, shiso leaf, tobiko. 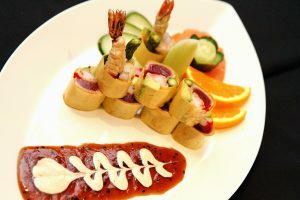 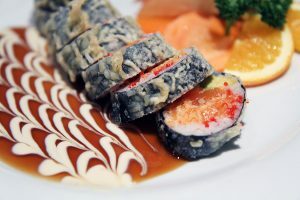 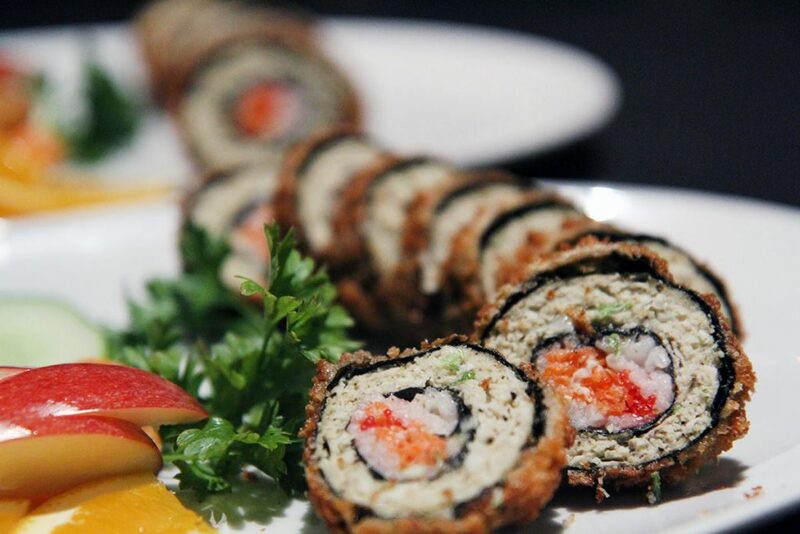 Spicy tuna, cucumber, cooked shrimp, crabstick, asparagus and tobiko rolled in seaweed, coated with light tempura batter. 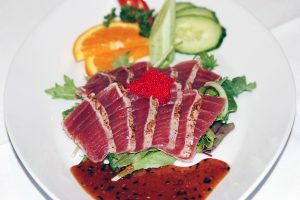 4 portions of mixture of spicy tuna, fine diced mango, tobiko and crispy carrot crumbs topped on tempura shiso leaves. 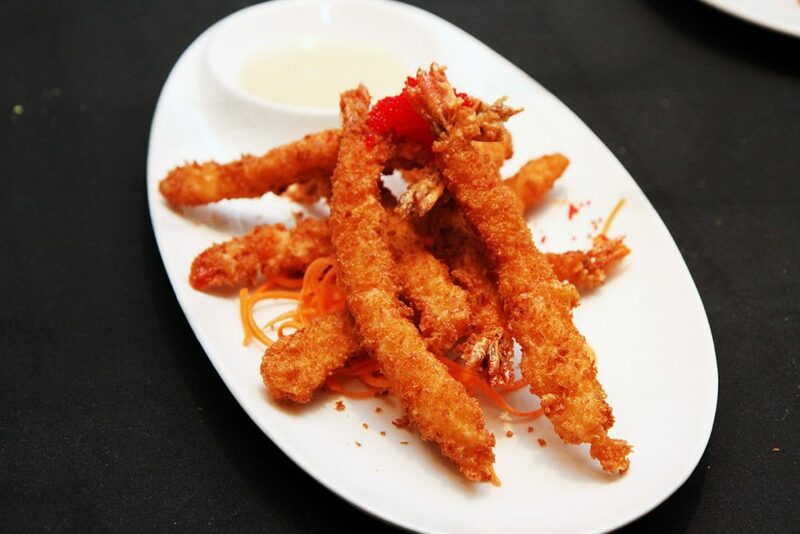 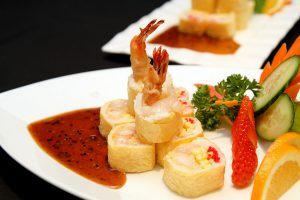 Katsu jumbo shrimps served with chef’s spicy sauce and tobiko. 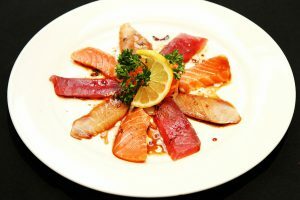 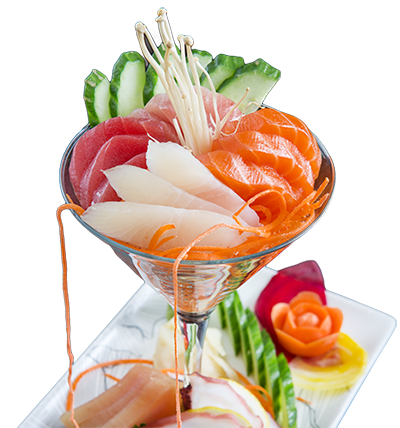 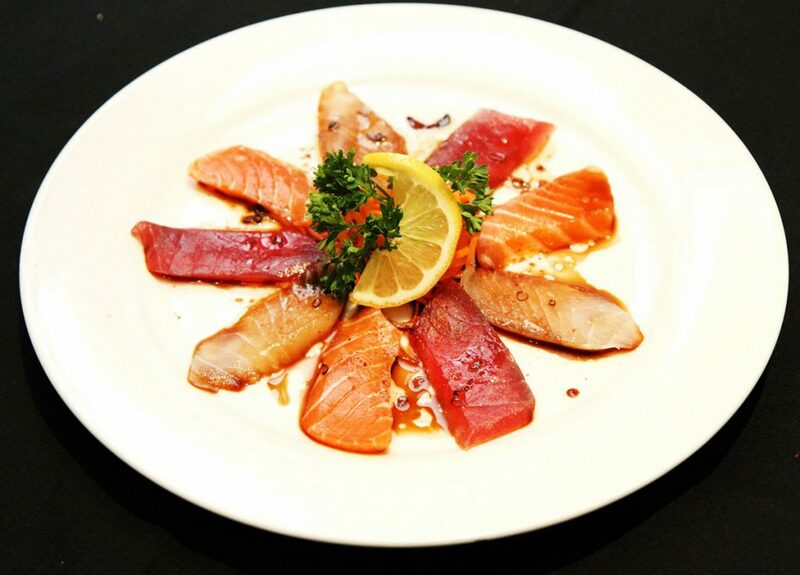 Slices of tuna, salmon and white snapper sashimi with a soy-based sauce. 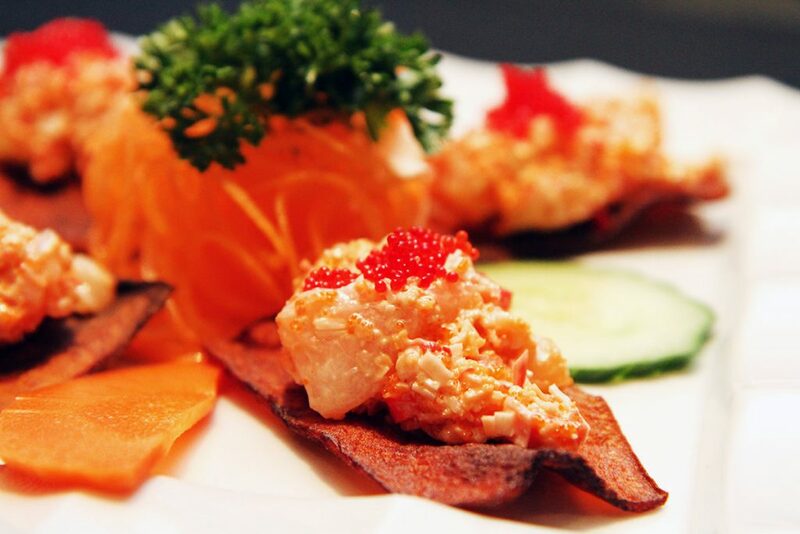 A tasty seasoned tartar of fresh scallops and crab, served on 4 sweet potato chips. 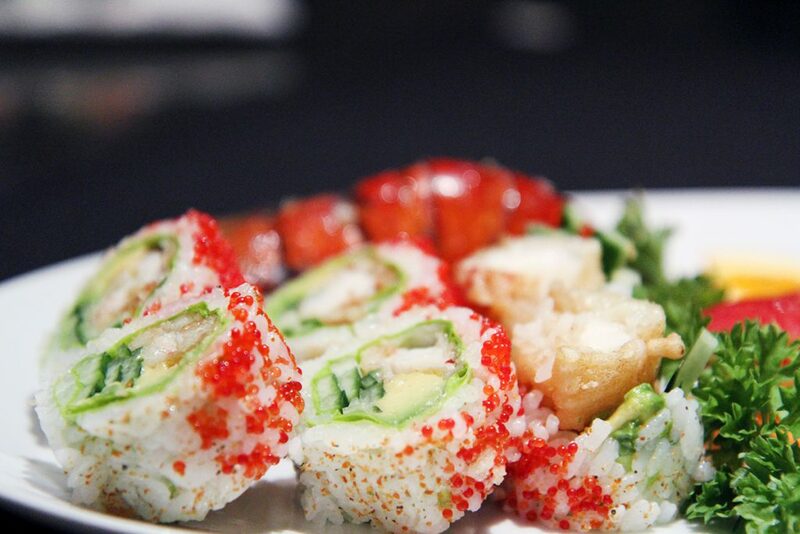 Tempura Lobster, cucumber strips, avocado, tobiko and spicy sauce. 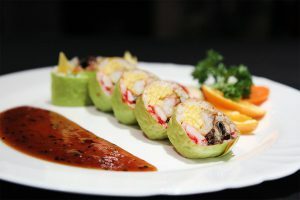 Tempura shrimp, raw scallop, tobiko and mango strips rolled in soya bean leaf. 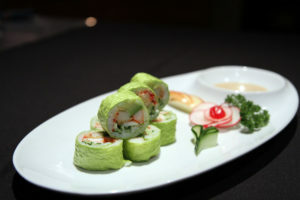 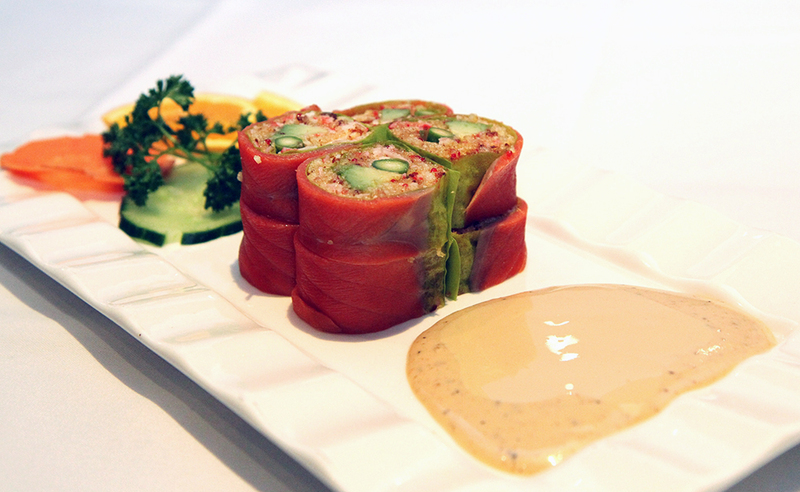 A soya bean leaf wrapped roll with tuna, tempura shrimp, avocado, tobiko and fresh asparagus. 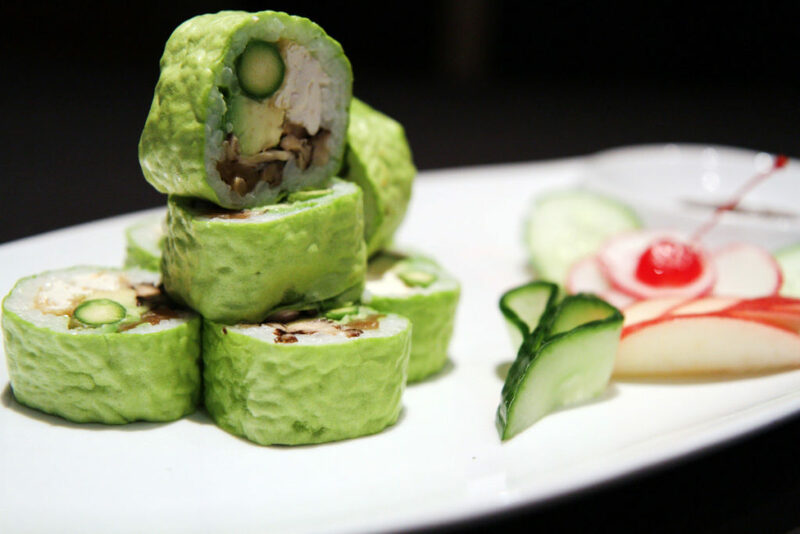 Tofu, mushroom, asparagus, eggplant, avocado and cucumber. 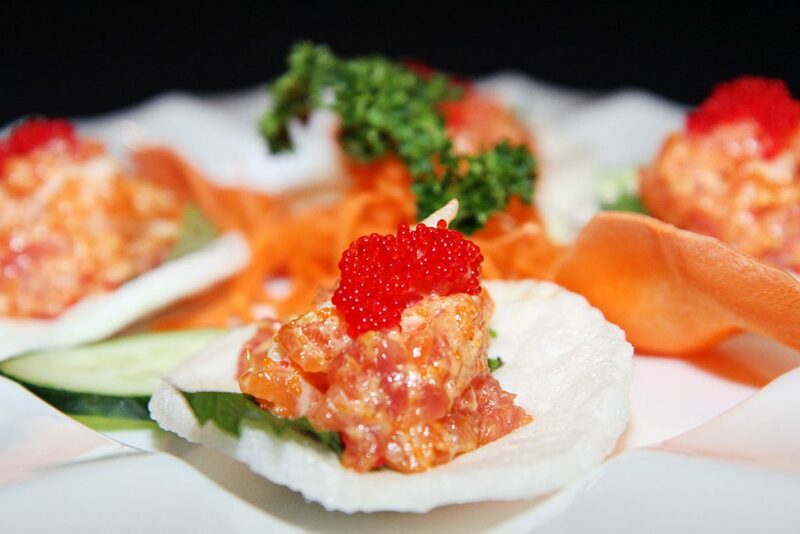 A tastily seasoned tartar of fresh shrimps, salmon and tuna, served on 4 shrimps chips with tobiko. 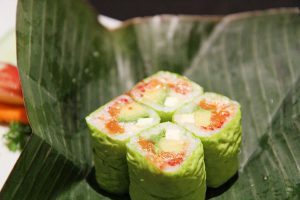 Soya bean leaf roll with spicy salmon, cream cheese, avocado, tobiko, crab meat and shrimp chips wrapped in a banana leaf. 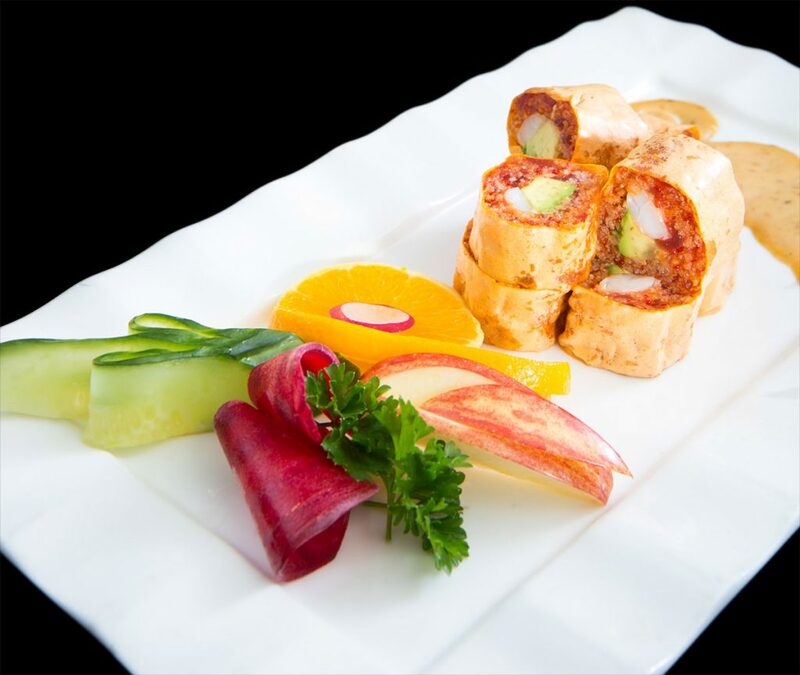 Crabstick, katsu scallop, tobiko, avocado and cucumber. Crabsticks, avocado, mango and fried onions rolled in soya paper topped off with tuna sashimi. 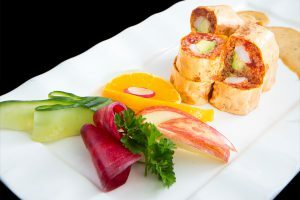 A cooked katsu battered roll with white tuna, green onions, tobiko and grated carrots. A generous piece of slightly flambé tuna rolled with tobiko and rice. 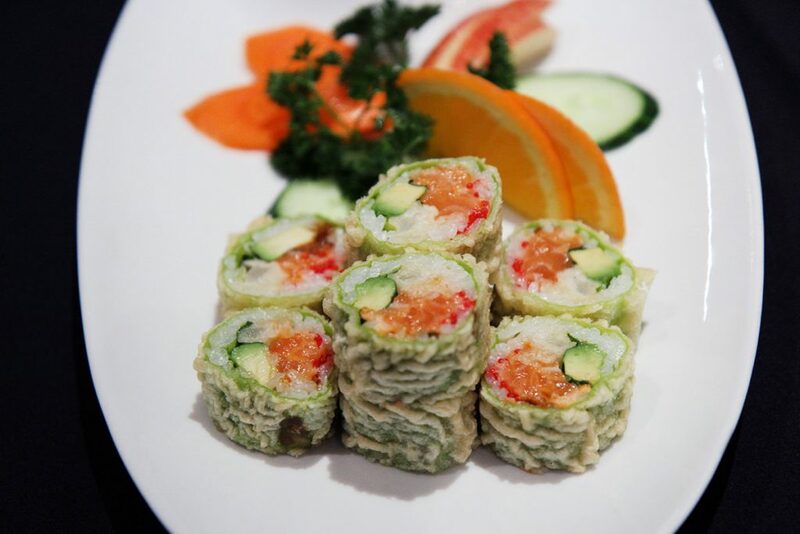 A light tempura roll with spicy salmon, avocado, tobiko, shiso leaf, fried onion and carrots. 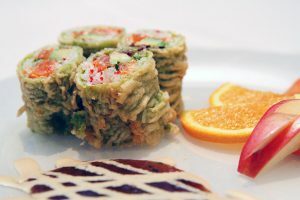 Spicy salmon, cream cheese, avocado, tobiko and crab meat rolled in seaweed, coated with light tempura batter Sambuca flamed. Grilled shrimps, mango strips, avocado and tobiko. 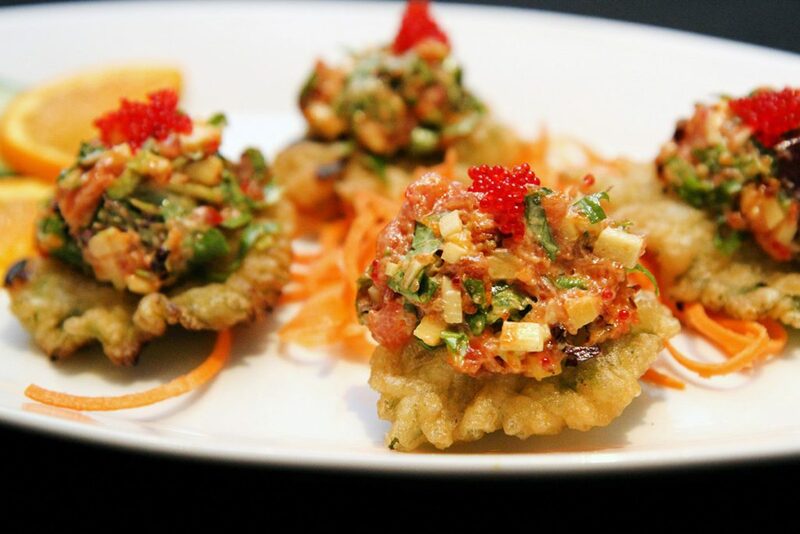 Hamachi tartar served on a tempura shiso leaf. 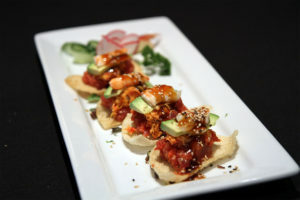 Tartare of tuna, crab and shrimp with avocado served on wonton chips. Spicy crab, spicy tuna, avocado, tobiko, wrapped with cucumber. Rice, tempura, avocado, tobiko, cucumber, lettuce, green onion, spicy mayo, seaweed, teriyaki, edamame, coriander.